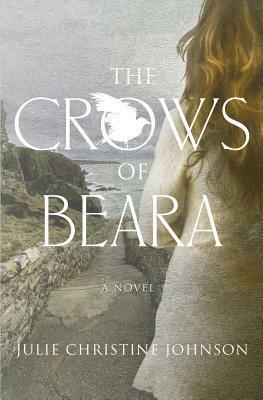 This is a wonderful new novel about one of my favorite places to visit – Ireland. The author does such descriptive writing about Ireland that I feel like I’ve been on a mini vacation. Ireland and environmental issues are the central themes of this novel but the relationship between the two main characters – Annie and Daniel is what makes this novel so memorable. Annie and Daniel are both flawed people trying to forgive themselves for their pasts and define their future selves. Annie is an alcoholic who is just out of rehab. Her marriage is falling apart and the PR company she works for is getting tired of giving her second chances. Her last chance to keep her job is a PR job in Ireland trying to convince a small town that the new jobs that will be provided by a copper mine are more important than the environmental problems that the mine would cause. The first person she meets in Ireland is Daniel, a metal artist, who is fighting with the demons in his past and working with many of the people in town who oppose the mining operation. Despite their differences, Annie and Daniel are drawn to each other. The more Annie sees of the beautiful Beara peninsula, the more she questions the mine owners plans to destroy the environment. Will Annie and Daniel be able to forgive themselves for their pasts and discover happiness in their future? This a wonderful story about love and redemption, the beautiful country of Ireland and the importance of family. Susan Roberts lives in North Carolina when she isn't traveling. She and her husband enjoy traveling, gardening and spending time with their family and friends. She reads almost anything (and the piles of books in her house prove that) but her favorite genres are Southern fiction, women's fiction and thrillers. Susan is a top 1% Goodreads Reviewer. You can connect with her on Facebook.